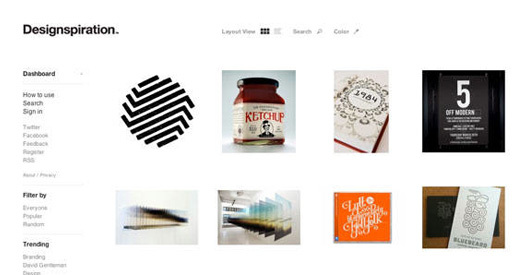 About.com Designspiration Interview | Shelby White - The blog of artist, visual designer and entrepreneur Shelby White. Eric Miller, who runs the Graphic Design section of the enormously popular About.com, asked me to do an interview with him about the process of building Designspiration. I talked about some of the issues of building the site and how to overcome such obstacles. You can read the interview here: About.com Designspiration / Shelby White Interview. Swell interview Shelby. Thanks for sharing!